Collecting, organizing, and sharing information on rare species and ecosystems. Using scientific expertise to establish conservation priorities and to assist our conservation partners. Our staff and cooperators conduct field surveys for rare plants, animals and ecosystems. This inventory is the foundation for most of our other conservation work. We have been compiling objective scientific information on priority species and ecosystems for 30 years. We analyze and share this tabular and GIS data with government agencies, consultants, and conservation organizations. We assign conservation ranks for species and ecosystems based on rarity and threats. This identifies the entities most in need of conservation effort. Our inventory, information, and priorities are used by many organizations to guide conservation action. 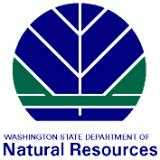 They are the basis for establishing or expanding Natural Area Preserves and Natural Resources Conservation Areas.